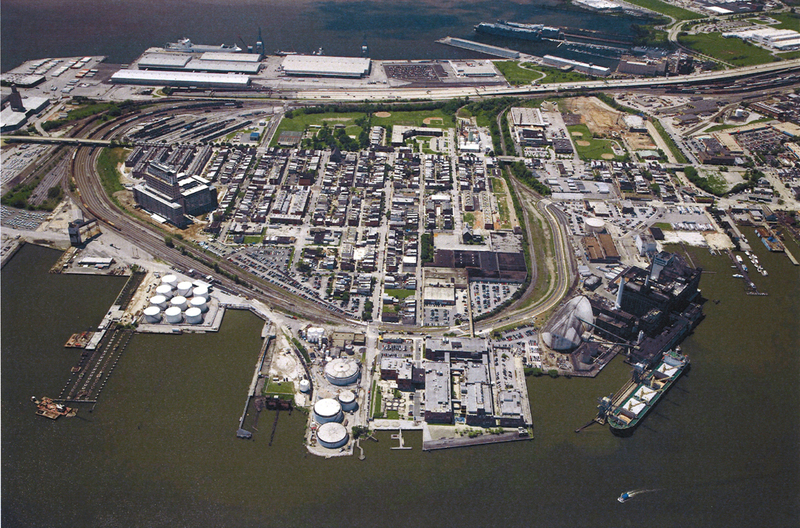 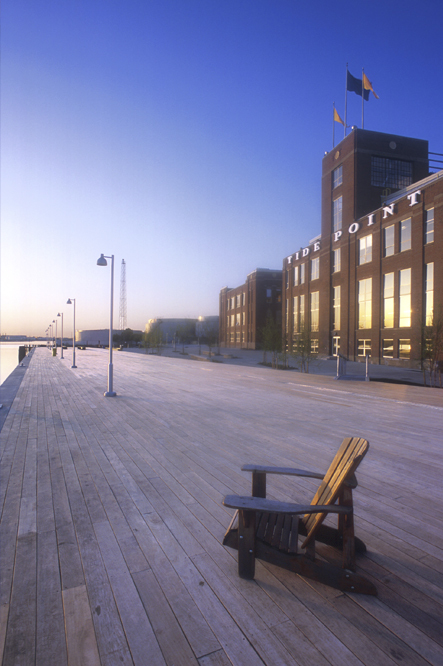 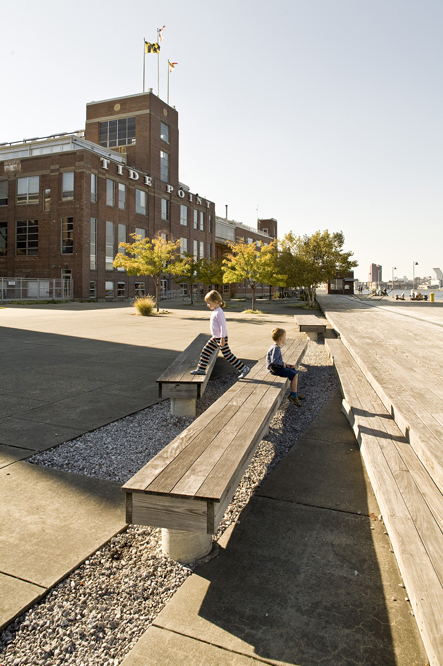 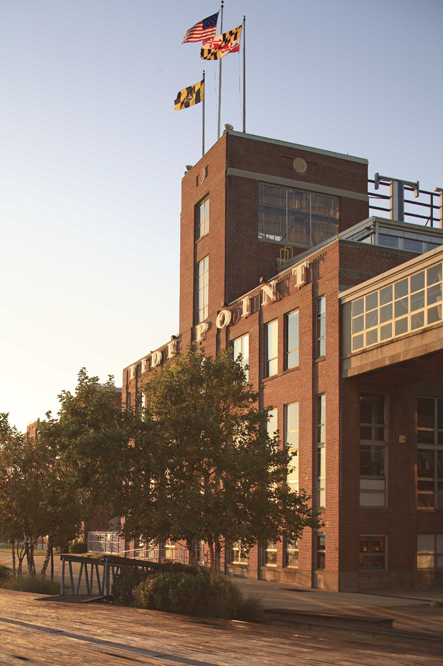 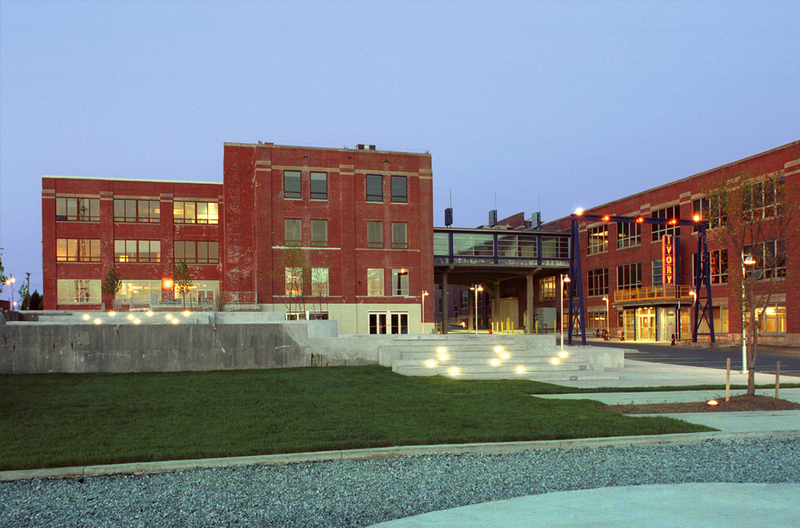 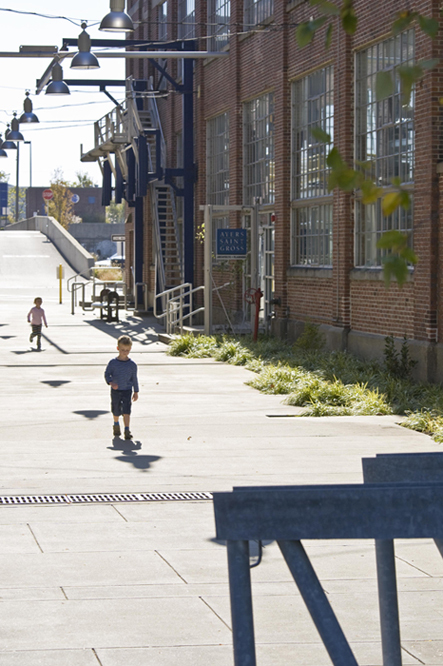 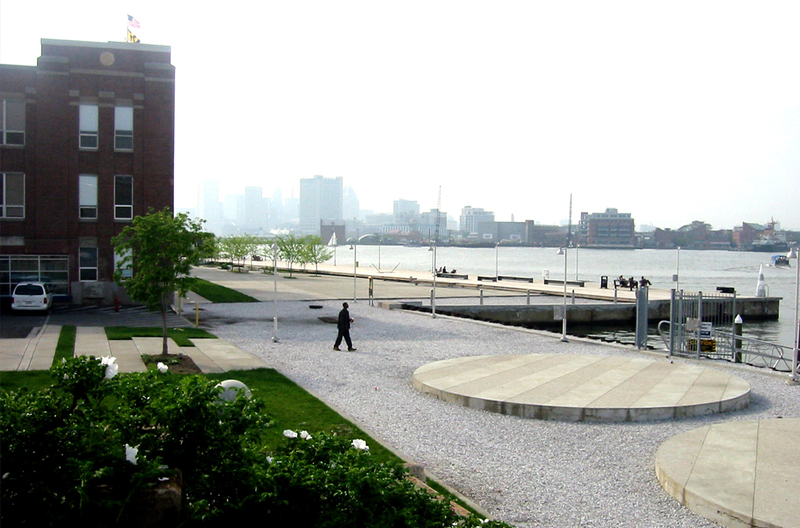 To recast this waterfront property—a former Proctor & Gamble soap factory—as a vibrant, mixed-use campus open to all, we pulled the site into the community, opening boundaries and creating pedestrian links and paths through the campus to the water. 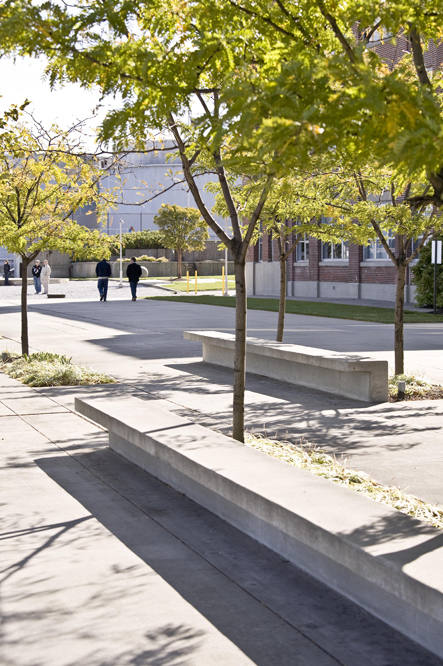 New amenities complement the campus’ cultural and natural histories and provide modern comforts. 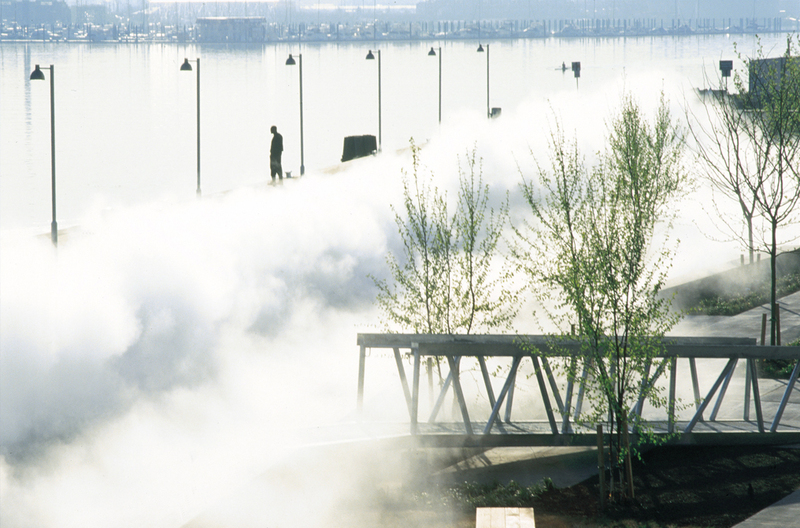 Misting machines create cooling fog for people and plants. 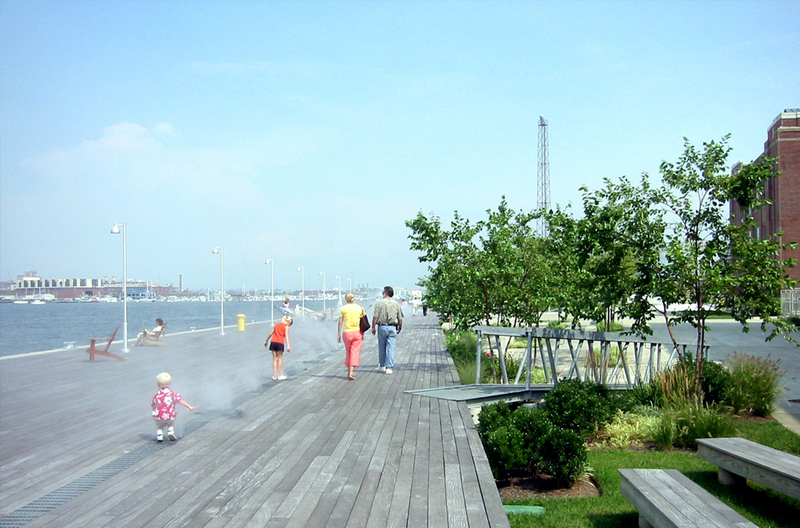 A boardwalk marks the water’s edge. 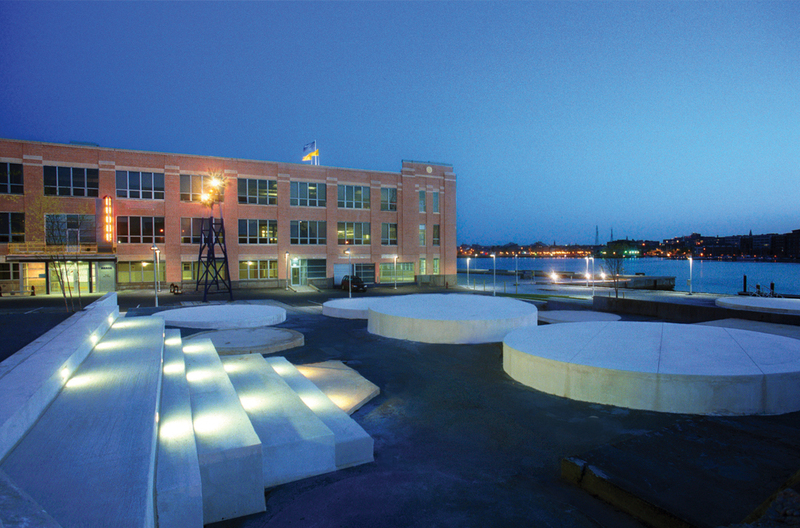 Industrial fragments were adapted into engaging features: storage tank bases became “lily ponds,” a railroad trestle is now a terrace, stairs became amphitheaters. 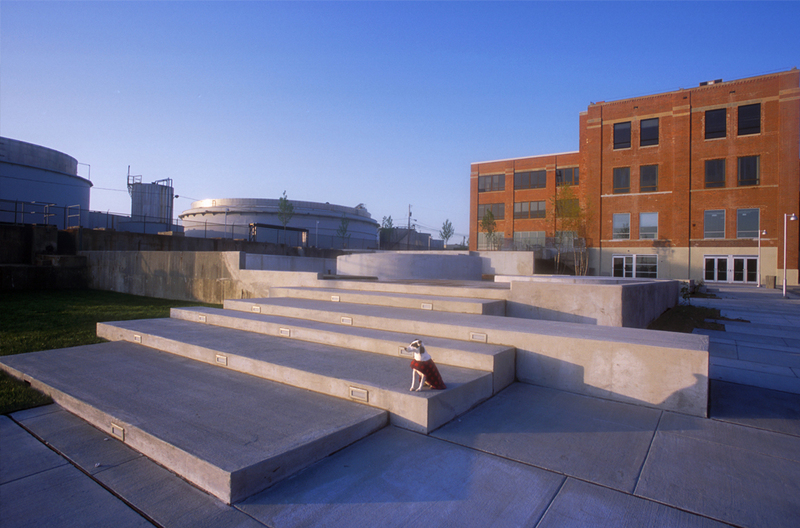 For the landscape, we emphasized the shifting nature of the ground, blending historical, natural, and industrial processes. 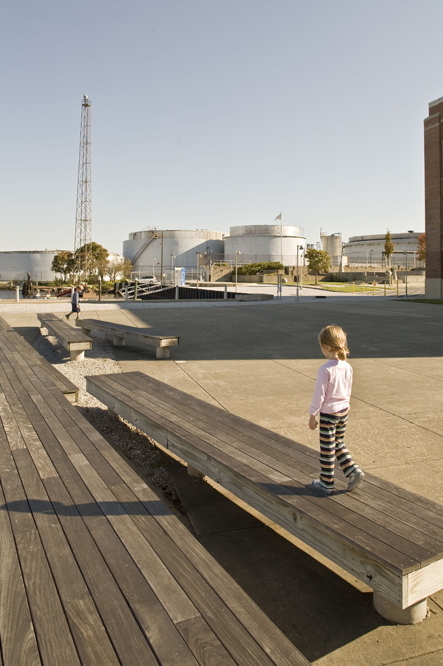 We made a series of gardens that reflect different ecologies at the 15-acre site: an iris garden, a rain garden, and a garden of marsh grasses. 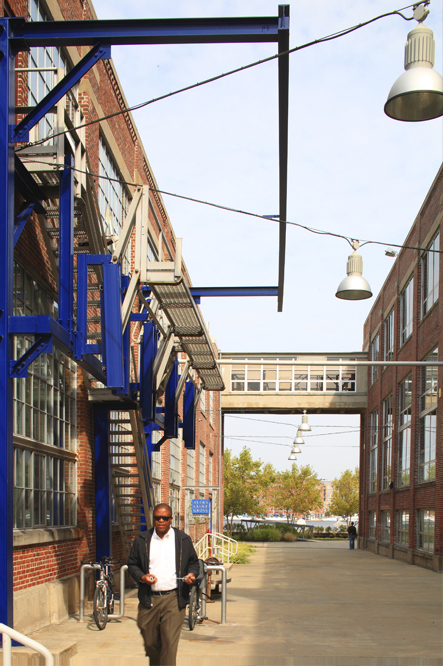 The project shows there is value and beauty in restructuring the past for the future, incorporating the traces of human action and intervention into new relationships the industrial landscape we have inherited, if we are creative and environmentally responsible in its reuse.